Your convenience is our top priority at Chariot XXI. We know how crucial it is that you reach your meeting, event, or appointment on time. We honor your time with the highest standard of punctuality, and we are at your service 24 hours a day, 7 days a week. We do ask, however, that you give us 3 hours' advance notice so that we can give you the efficient, reliable treatment you deserve. 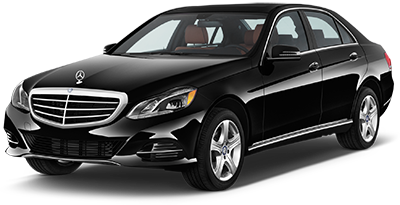 With Chariot XXI you'll enjoy a flawless transportation experience to or from any of the Houston airports. The moment you arrive in our city you'll be greeted by a friendly chauffeur who will help you move quickly and easily through the airport to your vehicle. We can meet you at the baggage claim, in the lobbies, or in other designated parts of the airport. If your flight is early or late, don't worry about a thing -- our flight tracking software gives our chauffeurs up-to-date information on when to expect you to ensure that they will be there when you need them. For Information about IAH terminals and pickup procedures, please go here. Our hourly service option provides the ultimate in convenience. If you're planning to attend multiple events or meetings, just keep our driver on standby and he'll be ready to take you to your next appointment on a moment's notice. Nothing could be easier! Established in 2007, Chariot XXI was designed to provide what today's clients need and want most -- the highest standard of customer care at competitive prices. We built our reputation as an excellent Houston transportation service by focusing on the details. © 2018 ChariotXXI. All Rights Reserved.